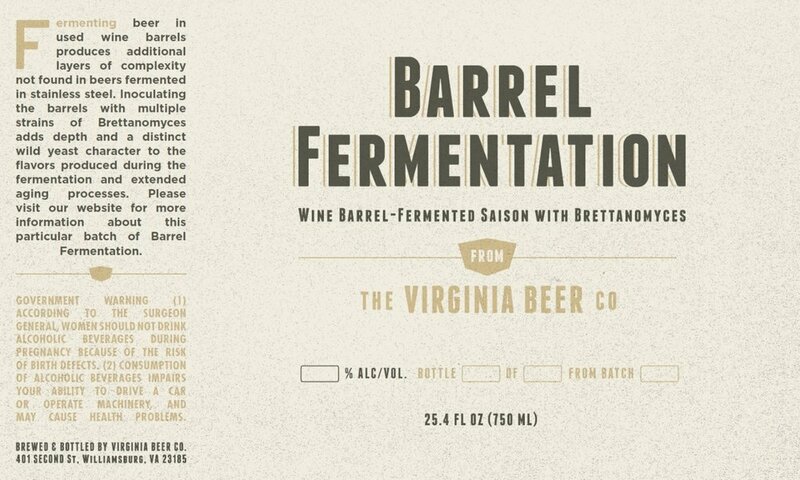 Saison Tournante is a rotating series of small batch Saisons brewed by The Virginia Beer Co. Brewed with a traditional Belgian Saison yeast strain sourced from nearby RVA Yeast Labs that produces a spicy and estery base, the Saison Tournante features a myriad of ingredients that explore a New World take on an Old World Style. Our most complex Saisons are a series of wine barrel-fermented Brett Saison blends referred to as the Barrel Fermentation Project. Due to the growing number of recipes in this series, we track our full list of Saisons in Untappd in order to ensure our website does not become cumbersome. For the entire list of Saison Tournante recipes, indicated by the name Saison Tournante and use of the Saison Tournante logo displayed below, please visit Untappd. Visit Untappd for the entire list of Saison Tournante recipes offered by The Virginia Beer Co., indicated by the name Saison Tournante and use of the Saison Tournante logos displayed below. See what's On Tap for today’s available options.